A renewed call for action went out again this week from three major industry associations. Native forestry contractors in Gippsland are reported to be struggling to meet their contracted supplies, have no money to pay the bills, and many are reporting a growing sense of despair not knowing where they stand – and if in fact, they still have a future. The longer those affected are kept in the dark, their businesses, their families and workers and the communities in which they work are being hit hard. 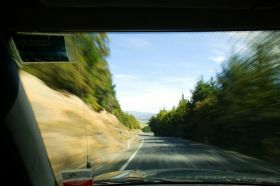 In New Zealand this week, environmental groups have produced a report to feed into the Government’s review of the National Environmental Standards for Plantation Forestry that came into force last May. Worker safety and logs and debris that were left strewn around Tologa Bay following the storm events of June last year are both being used by the Environmental Defence Society and Forest and Bird to push their case. It’s received its fair share of media attention this week. According to the report, environmental risks around plantation forestry suggest that the current rules currently are too light. Details and a link to the full report are contained in the story below. As we’ve reported in previous issues, the USA is facing similar issues as NZ and Australia in finding enough workers to fill the current shortage of forestry contractors. The Future Logging Careers Act has just been passed by both the U.S. House of Representatives and U.S. Senate. 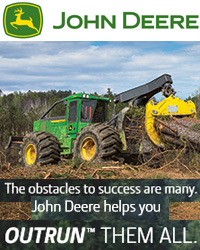 It’s one solution they’ve come up with to help meet future workforce needs and at the same time, support small, family-owned businesses – the back bone of logging operations in more remote locations across the U.S. It’s going to enable 16- and 17-year-olds to work in mechanized logging operations under parental supervision. 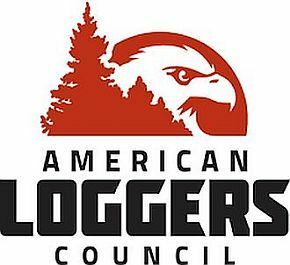 The move has warmly been welcomed by the American Loggers Council. 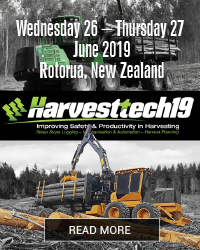 And finally, in line with the wood harvesting theme, registrations continue to pour in for the 26-27 June HarvestTECH 2019 event (www.harvesttech.events) in Rotorua. Already, we have around 50 Australian and Canadian delegates signed up – in addition to kiwis from across the country. It’s going to be a full house. All exhibition spaces, including the largest line up of new harvesting machines and equipment yet seen at this event, have been sold. If interested in securing a registration for you or your crew to the event, the message here is that you should do this sooner, rather than later. That’s it for this week. Please note, before moving on to one of this week's stories, if planning on placing an advert into next week's issue, because of Easter, your usual Friday issue is going to be coming out first thing on Thursday morning. If wanting to place an advert, to avoid missing out, it needs to be uploaded or with us no later than 4pm (NZ time) on Wednesday afternoon. 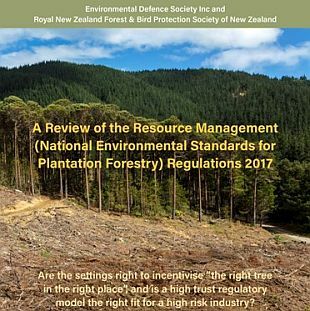 The Environmental Defence Society (EDS) and Forest & Bird have this week released an analysis of the current regulations governing plantation forestry in New Zealand. The analysis calls for a fundamental reset of the rules to better protect the environment. The report A Review of the Resource Management (National Environmental Standards for Plantation Forestry Regulations 2017 was co-authored by Madeleine Wright, Sally Gepp and Dr David Hall. It’s designed to provide input into the Government’s own review of the National Environmental Standard for Plantation Forestry 2017 (NES-PF) which is underway, led by the Ministry for Primary Industries. “The concerns focused on the sense that the current regulatory approach was light-touch which was inappropriate for such a high-risk sector. The industry is high-risk in terms of worker safety but also environmental impacts especially from slash and sediment. We make three key observations in our report”. “First, the NESPF’s approach to afforestation and replanting is too permissive and needs to be re-examined. Greater stringency needs to be applied. This is especially the case if we are to plant a billion trees”. “Secondly, the NESPF’s presumption that plantation forestry activities should be a permitted activity needs to be revisited. This is fundamental if we are to ensure appropriate oversight of the sector”. “Thirdly, in most instances, the adverse environmental impacts of clear-fell harvesting are significant. Therefore, policy needs to be developed to facilitate a transition to more sustainable methods. Slash and sediment must be better controlled and that may require staged harvesting rather than present methods”. The conference team at Innovatek, Logging & Sawmilling Journal and TimberWest are pleased to announce their latest industry conference for leading forestry, wood products and transport companies for 2019. 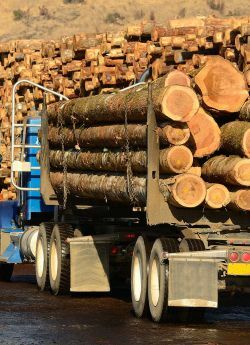 Woodflow Logistix covers all aspects of the wood supply chain from forest to mill for the west coast operations in North America. 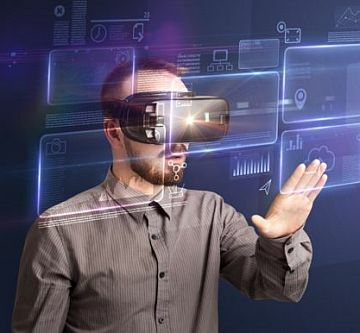 The conference theme for 2019 is Global Technology Advances for Wood Supply Chain Operations. Our Woodflow Logistix 2019 conference is scheduled for October 22nd & 23rd, 2019 at the Sheraton Vancouver Airport Hotel in Richmond, Vancouver, Canada. This conference will be providing practical tools, new innovations and key insights to help improve planning, logistics and operations within the wood supply chain. We’re currently working closely with international technology leaders, logging transport contractors, service providers, researchers and industry and government agencies to develop a strong and innovative programme. If you are keen to be a speaker at our conference and you are an early adopter, developer, innovator, contractor, technology supplier, service provider or researcher within the wood transport & logistics sector, we’d like to hear from you. More information can be found at the event website: www.woodflowlogistix.events. 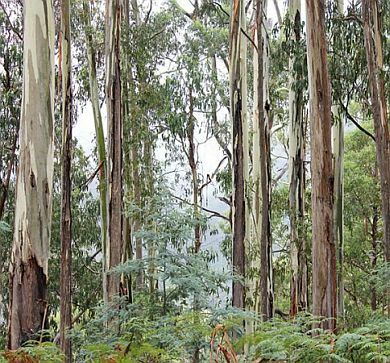 Eight Tasmanian research projects covering the "whole supply chain of the forestry industry" have been funded, Minister for Forestry Sarah Courtney said on 6 April. The grants are the result of the second round of the Launceston Centre of the National Institute for Forest Products Innovation, jointly funded by the state and federal governments, and industry. They include a project 'applying the Internet of Things to landscape scale wedge-tailed eagle management', implementing eucalypt genome selection, and exploring the feasibility of a pellet-based industry in Tasmania. Tasmanian senator and Federal Assistant Minister for Agriculture and Water Resources Richard Colbeck said the projects added up to AU$4.2 million. "This will have a transformational effect on many aspects of Australia's forest industry," he said. Monitoring by the Department of Conservation has confirmed the predicted mega mast or heavy seeding in New Zealand’s forests this autumn, Conservation Minister Eugenie Sage said this week. Eugenie Sage said that new funding of NZ$81.2 million in Budget 2018 over four years had enabled DOC to scale up its predator control programme to respond to the threat posed by the mega mast. 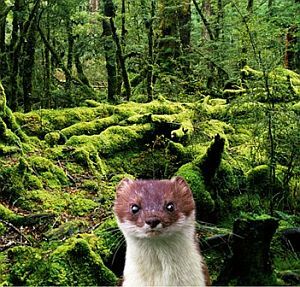 “DOC is planning its largest-ever predator control programme for 2019/2020, at a cost of NZ$38 million, to suppress rats, stoats and possums over about one million hectares or 12 per cent of conservation land. Forest management company Merrill and Ring have been acknowledged for going above and beyond to harvest pines at a sensitive Marlborough site at the top of the South Island, New Zealand. For its work around ecologically significant sites at the Branch River pine plantation in the Upper Wairau Valley, the company took out the forestry category at the 2019 Cawthron Marlborough Environment Awards. The biennial awards showcase businesses and community projects that protect and enhance the environment. As the property managers for the Branch River pine plantation property - on behalf of Australian landowners New Forests - Merrill and Ring's Blenheim-based team have worked to ensure pine trees are being felled and extracted more carefully and tōtara seed is being collected from the native forest remnants and grown out to seedlings. These will be planted as a wide buffer zone, protected by QEII covenants. 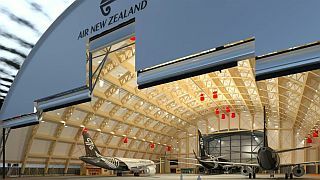 Merrill and Ring technical forester Siobhan Allen said the tōtara project took in an area of around 25 hectares. The company hoped to complete the project within four years but this would be dictated by how long it took for new tōtara seedlings to germinate. Similar projects that involved taking land out of production and putting it back into riparian areas were anticipated for the rest of the companies they manage, Allen said. Award judges were impressed by the innovative thinking to protect biodiversity and manage slash and sediment, which are industry-wide issues. "As a management company overseeing thousands of hectares of plantations in Marlborough, Merrill and Ring has potential to influence the industry," they said. "By aiming for best practice, they're showing other forest owners how to make environmental sustainability a priority, while improving health and safety on the hill." Managing director Kyle Heagney said the recognition was a good way of showing what the company did from an environmental point of view. "Often people can't see what we do because a lot of the properties we manage are a long way from public roads or out of view." A World Trade Organization ruling approved a long-outlawed U.S. trade policy on Tuesday, when a panel of adjudicators said Washington's use of "zeroing" to calculate anti-dumping tariffs was permissible in the case of Canadian softwood lumber. The WTO's long-running row over zeroing is a technical dispute that turned into a power struggle between the United States and the arbiters of international trade law. The United States has suffered a string of defeats at the WTO over zeroing, a calculation method ruled to have unfairly increased the level of U.S. anti-dumping duties. Zeroing occurs when the investigating authority ignores, by treating as zero, cases where export prices are higher than prices at home. Critics have said this artificially inflates dumping margins. The repeated losses helped to fuel U.S. President Donald Trump's campaign to reform the WTO, where the United States is blocking appointments at the WTO's Appellate Body, effectively the supreme court of world trade. Trump said last year the United States could withdraw from the WTO if "they don't shape up." The panel's decision to side with this American argument this time was "really disappointing," Susan Yurkovich, the chief executive of B.C. 's Council of Forest Industries, told CBC News. "Prior decisions have ruled in Canada's favour," she said. Because this decision represents a departure from past rulings, the industry would support a federal government decision to test it with an appeal. Yurkovich described the decision overall as "mixed," pointing out the panel did side with Canada in faulting the way the U.S. calculated its anti-dumping duties. Canada launched the WTO dispute in November 2017, saying it would forcefully defend its lumber industry against "unfair, unwarranted and deeply troubling" U.S. tariffs. Canada has also launched a complaint under the provisions of Chapter 19 of the North American Free Trade Agreement (NAFTA.) The first hearing to investigate American claims of injury to its domestic industry is scheduled for May 7. 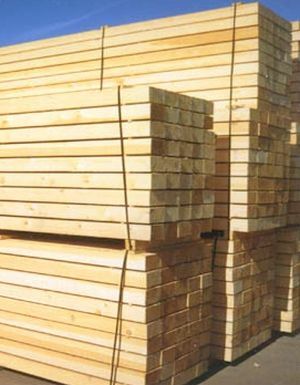 The U.S. Commerce Department had accused Canada of unfairly subsidizing and dumping softwood lumber, which is commonly used in the construction of homes. Its duties affected about US$5.66 billion ($7.5 billion) worth of imports. In the past, successful trade arbitration has not been enough to end U.S. duties on Canadian lumber. But the prospects for a negotiated settlement this time appear bleak for now. The U.S. industry is not interested in coming to the table, Yurkovich said, and she doesn't see any meaningful or satisfactory solutions on the horizon. For further coverage on this latest ruling click here. Below are four (4) questions and a bonus question. You have to answer them instantly. You can't take your time - answer all of them immediately. OK? Try not to screw up the second question, and don't take as much time as you took for the first question, OK? Third Question: Very tricky arithmetic! Note: This must be done in your head only. Do NOT use paper and pencil or a calculator. Try it. Take 1000 and add 40 to it. Now add another 1000 . Now add 30. Add another 1000. Now add 20! Now add another 1000. Now add 10. What is the total? The correct answer is actually 4100. If you don't believe it, check it with a calculator! Today is definitely not your day, is it? Maybe you'll get the last question right... Maybe. NO! Of course it isn't. Her name is Mary. Read the question again! Okay, now the bonus round: A person unable to speak, goes into a shop and wants to buy a toothbrush. By imitating the action of brushing his teeth he successfully expresses himself to the shopkeeper and the purchase is done. Next, a blind man comes into the shop who wants to buy a pair of sunglasses; how does he indicate what he wants? It's really very simple....Ok, now back to work.